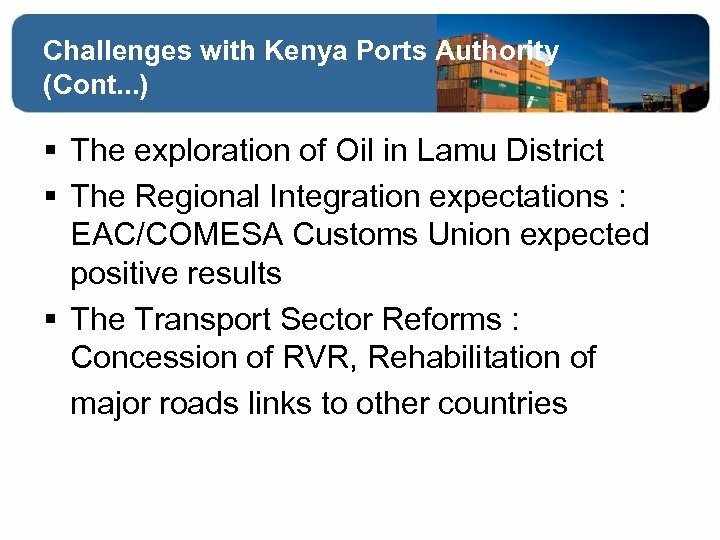 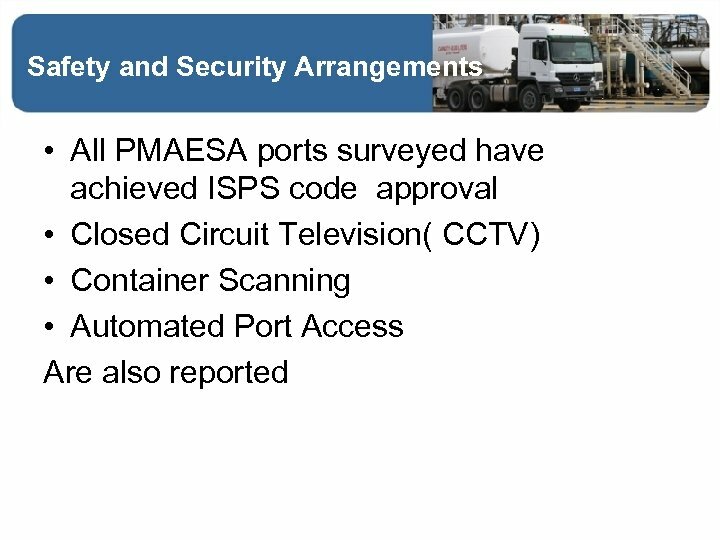 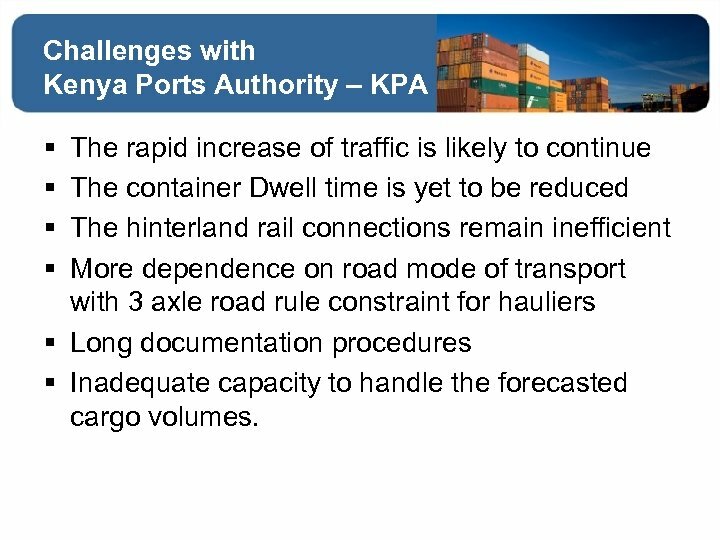 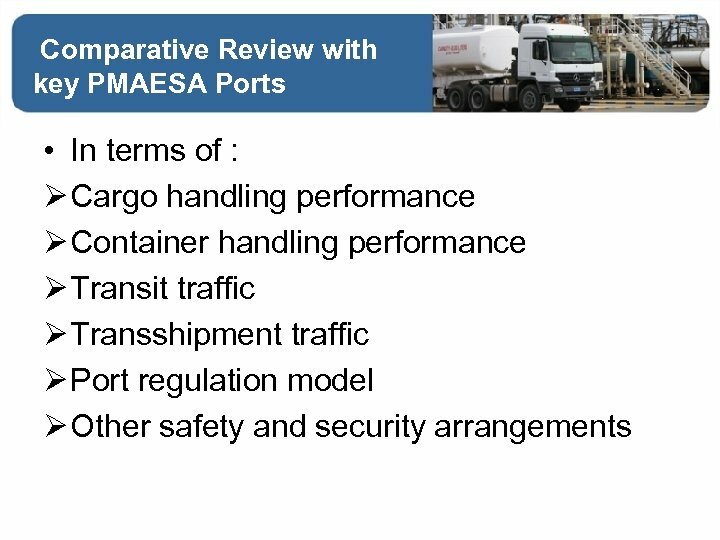 Challenges with Kenya Ports Authority – KPA § § The rapid increase of traffic is likely to continue The container Dwell time is yet to be reduced The hinterland rail connections remain inefficient More dependence on road mode of transport with 3 axle road rule constraint for hauliers § Long documentation procedures § Inadequate capacity to handle the forecasted cargo volumes. 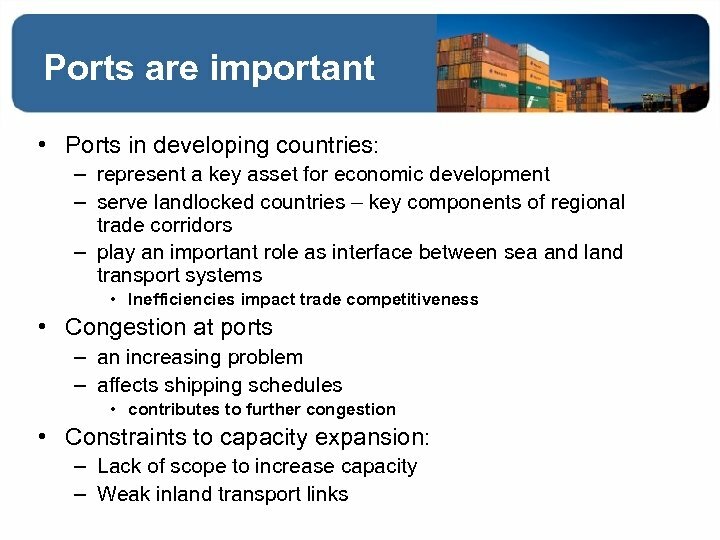 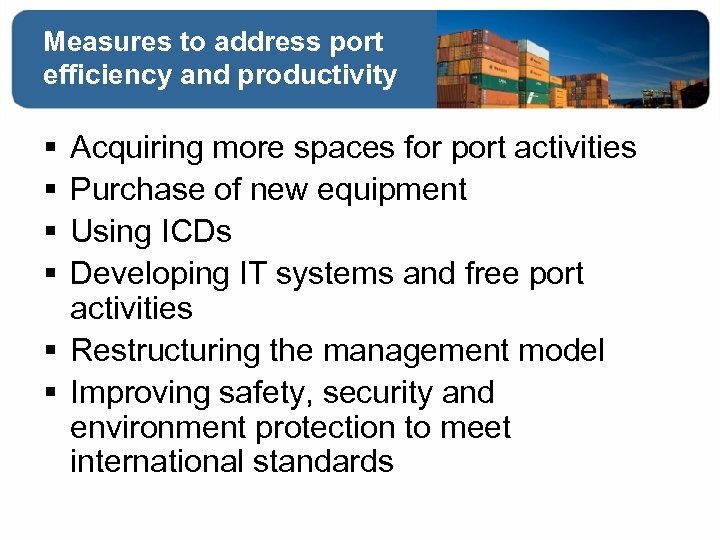 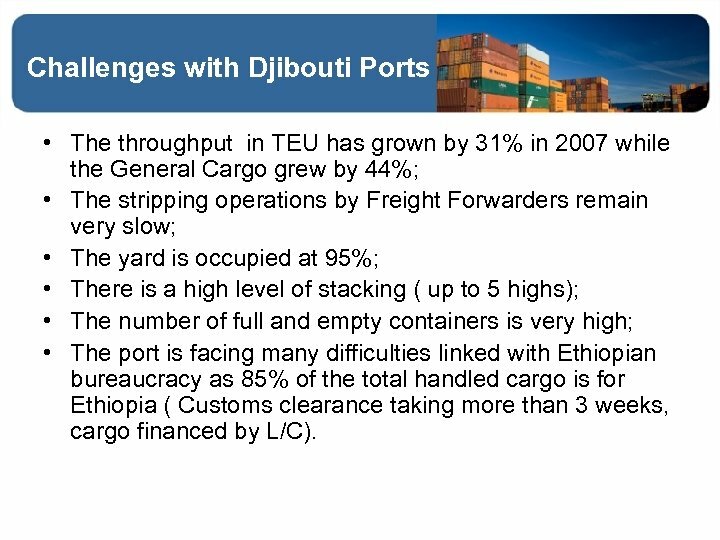 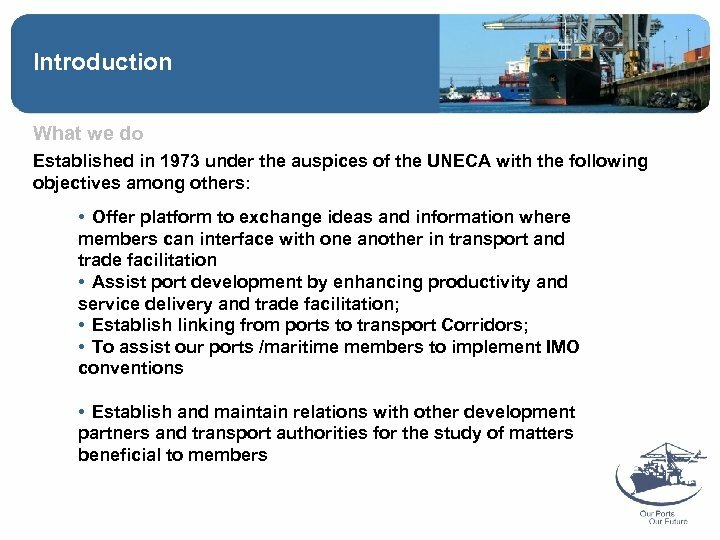 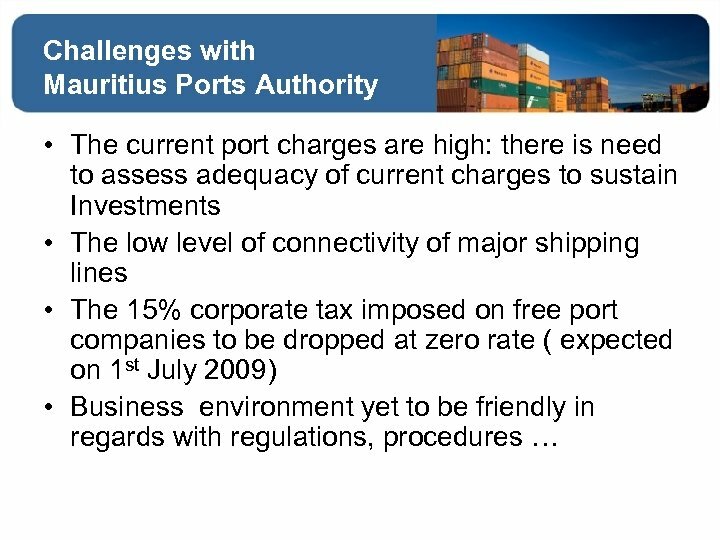 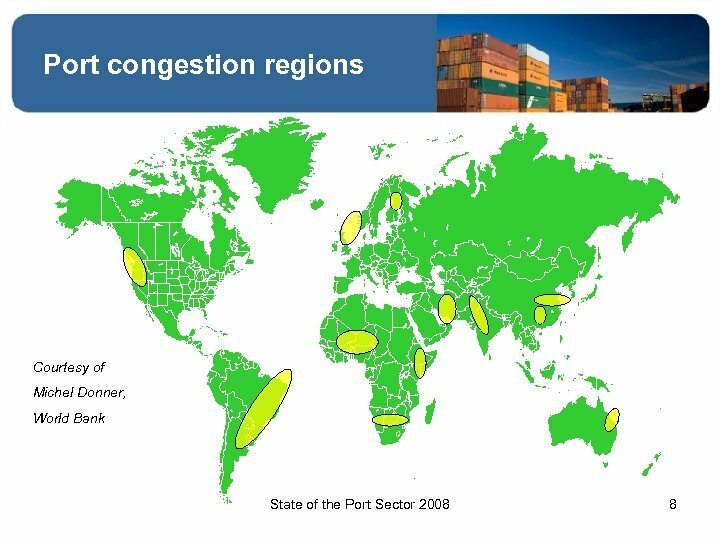 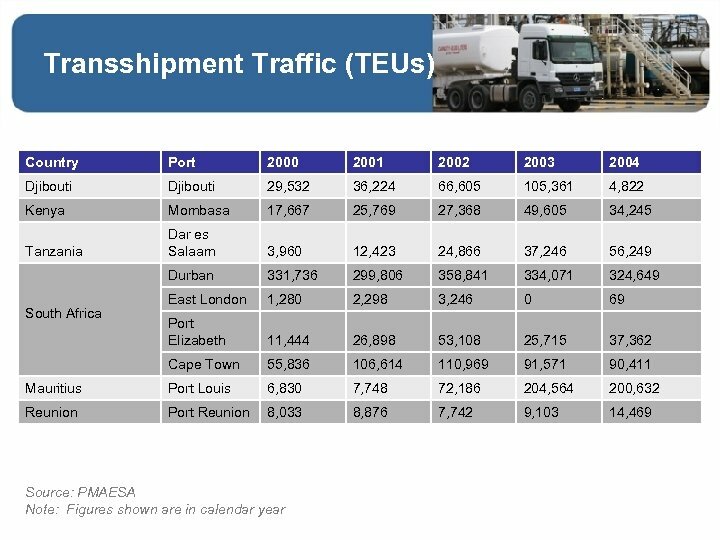 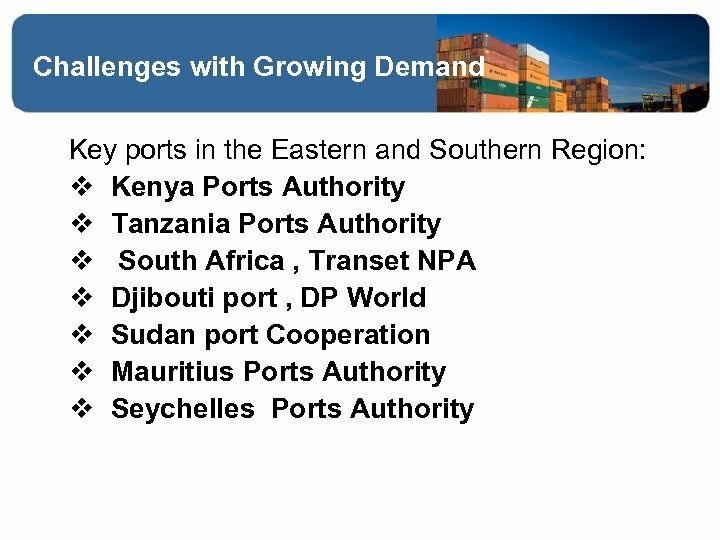 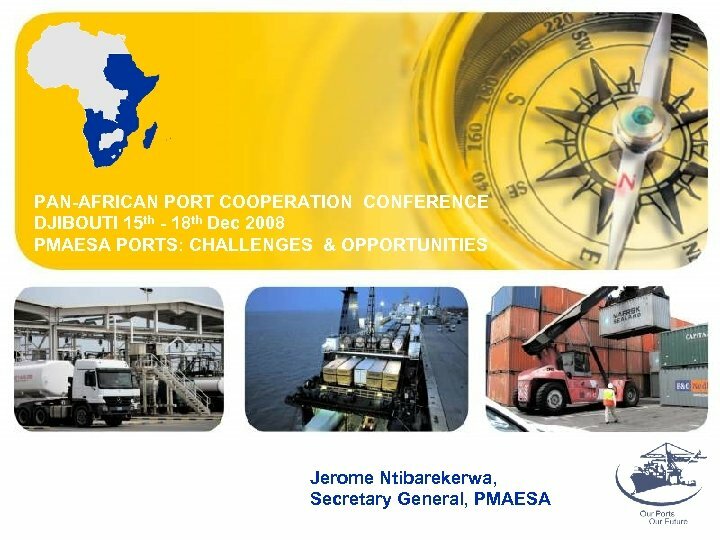 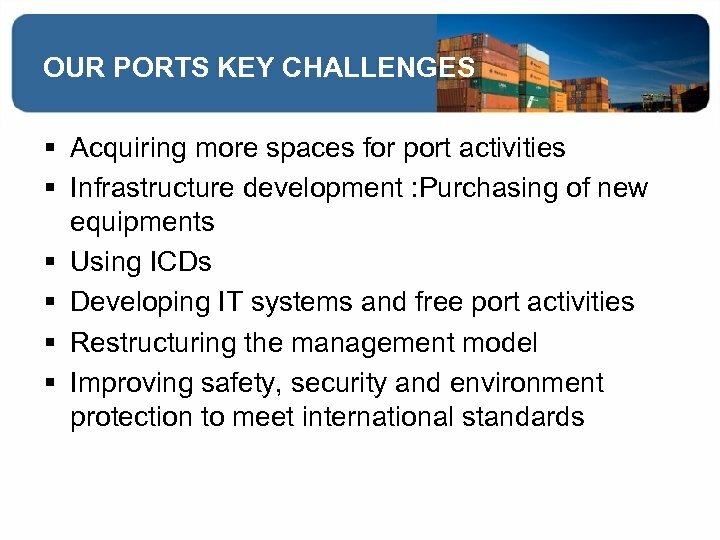 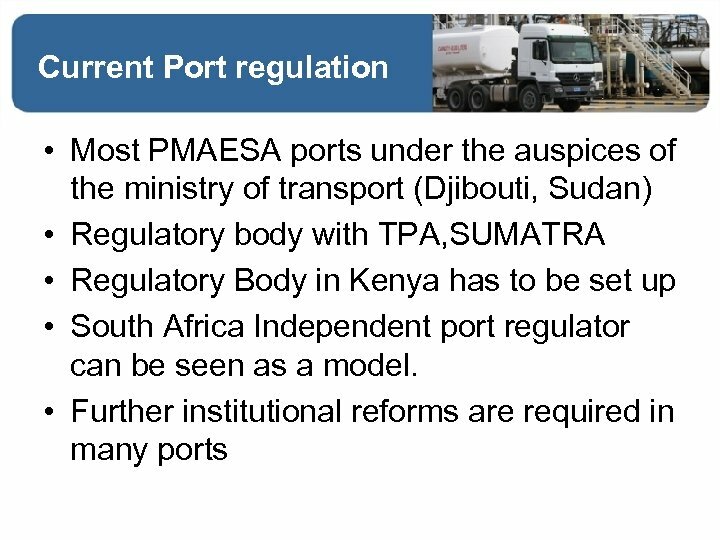 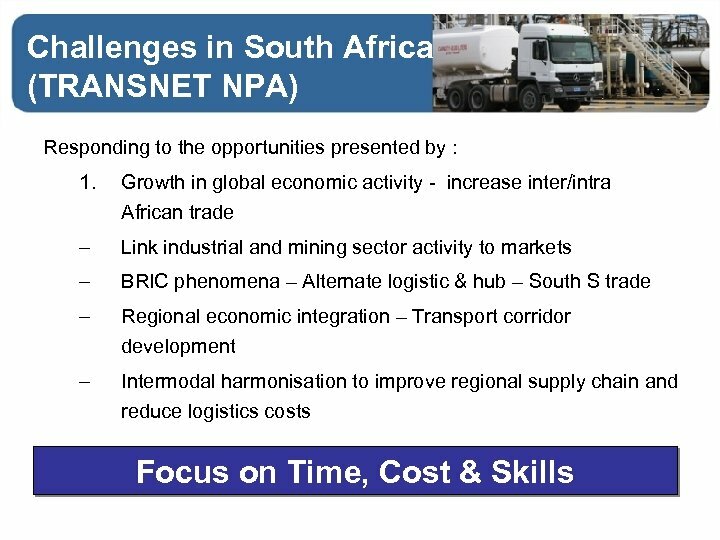 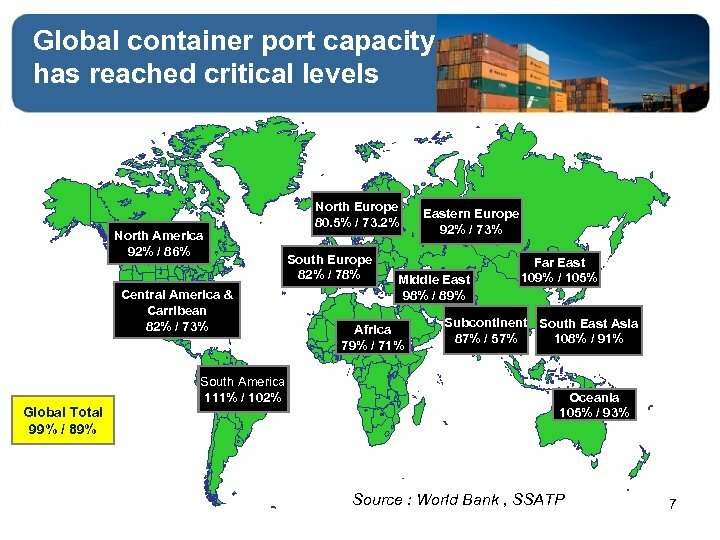 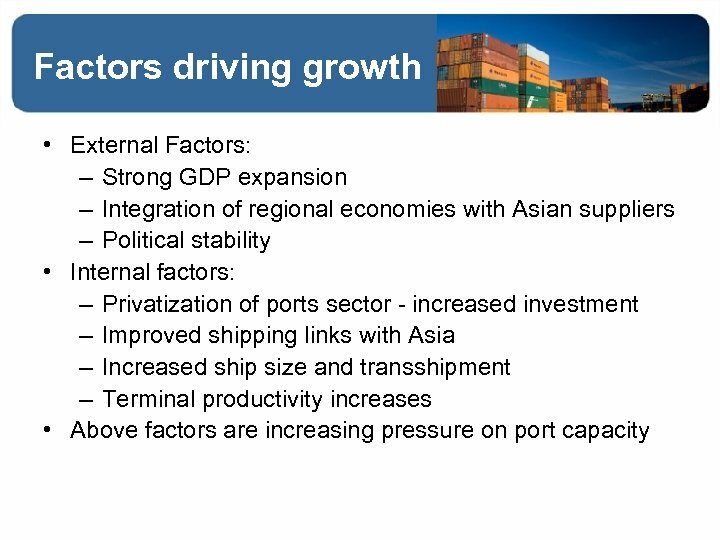 Challenges with Djibouti Ports • The throughput in TEU has grown by 31% in 2007 while the General Cargo grew by 44%; • The stripping operations by Freight Forwarders remain very slow; • The yard is occupied at 95%; • There is a high level of stacking ( up to 5 highs); • The number of full and empty containers is very high; • The port is facing many difficulties linked with Ethiopian bureaucracy as 85% of the total handled cargo is for Ethiopia ( Customs clearance taking more than 3 weeks, cargo financed by L/C). 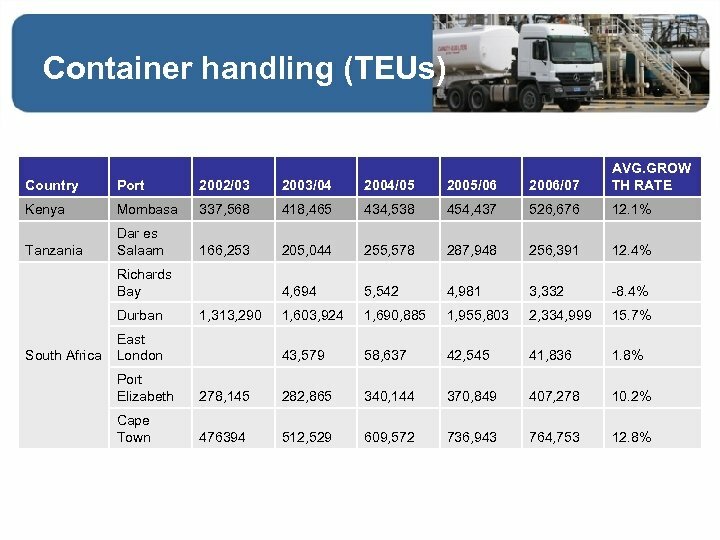 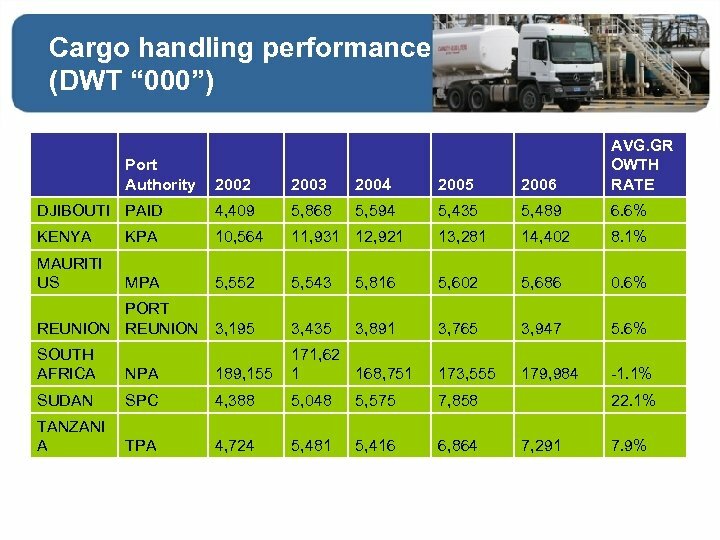 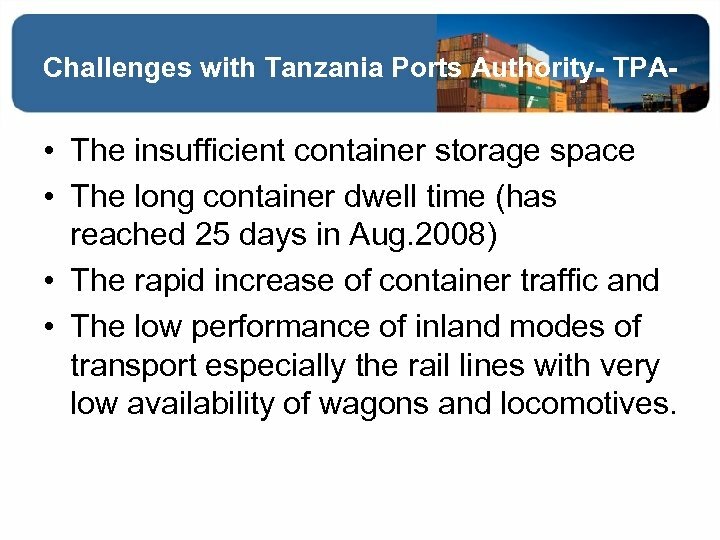 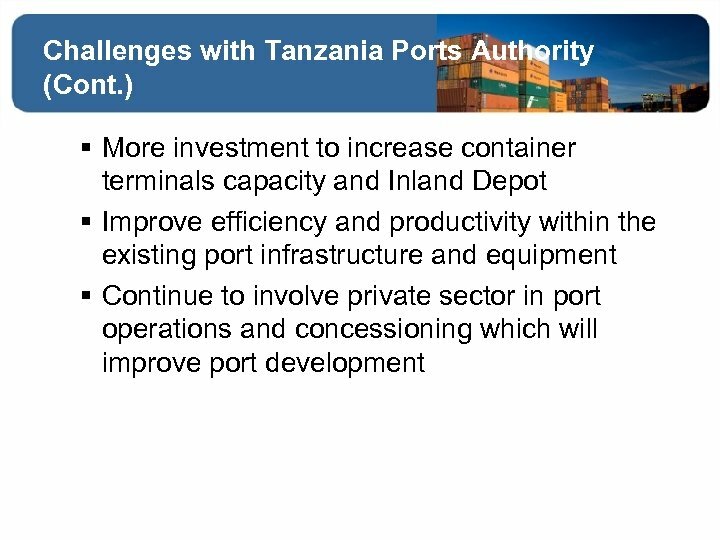 Challenges with Tanzania Ports Authority- TPA- • The insufficient container storage space • The long container dwell time (has reached 25 days in Aug. 2008) • The rapid increase of container traffic and • The low performance of inland modes of transport especially the rail lines with very low availability of wagons and locomotives. 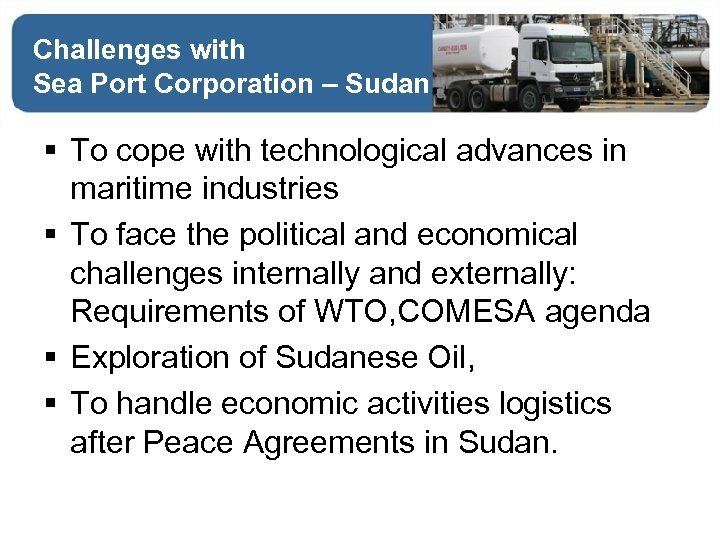 Challenges with Sea Port Corporation – Sudan § To cope with technological advances in maritime industries § To face the political and economical challenges internally and externally: Requirements of WTO, COMESA agenda § Exploration of Sudanese Oil, § To handle economic activities logistics after Peace Agreements in Sudan. 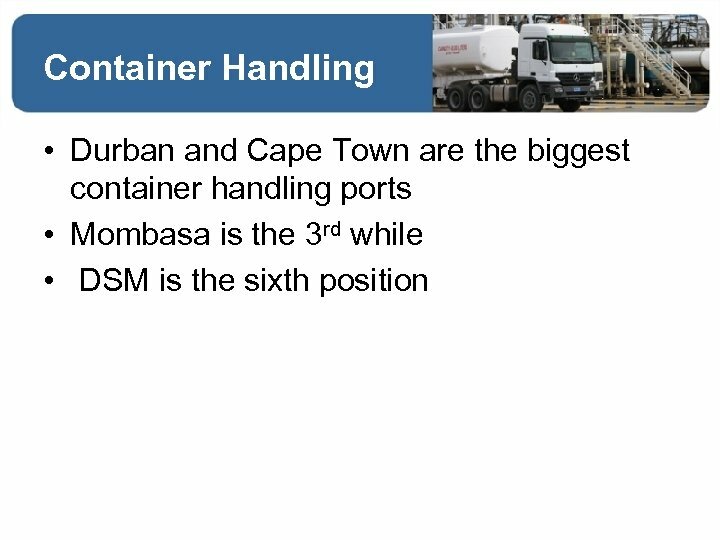 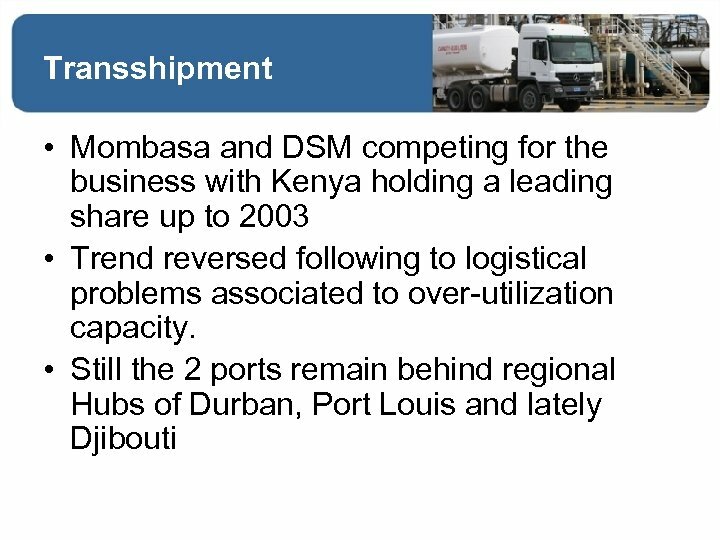 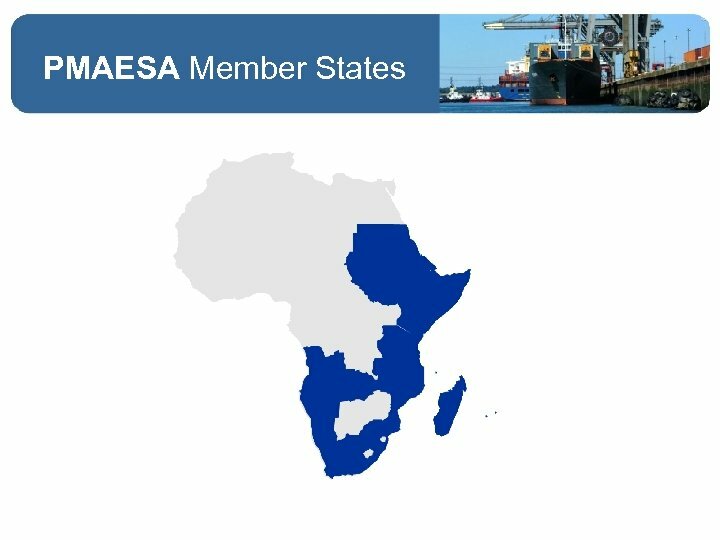 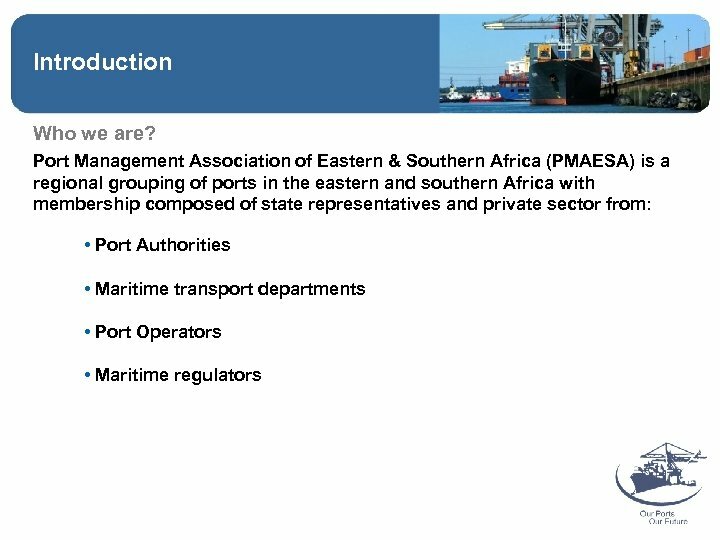 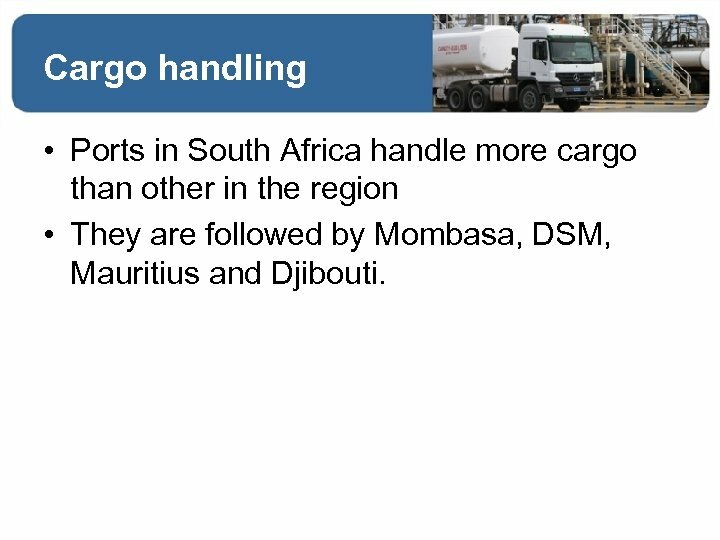 Cargo handling • Ports in South Africa handle more cargo than other in the region • They are followed by Mombasa, DSM, Mauritius and Djibouti. 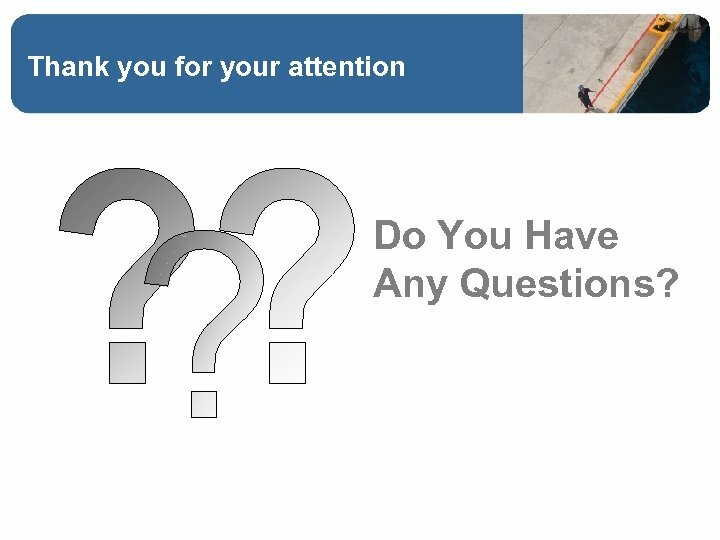 Thank you for your attention Do You Have Any Questions?